I thank John his crew for doing a beautiful job on my New House, They turned my home into a beautiful new living space for my wife & I. This is the 3rd job I ve had done by Gambrick. Never have had a problem or compliant. They do what you ask for in a reasonable amount of time. When the job is done it s done. No need for comebacks. Excellent company to have your work done by. Pretty good price but excellent work, the quality is the best I’ve seen. Thanks again to all the workers at Gambrick Construction for doing another great job for us. Gambrick built me a new custom home in Spring Lake, NJ. I used my own architect for the design and took care of permits, they handled all the rest. I wanted my dream home on the Jersey Shore and they delivered that and so much more. I can’t say enough good things about this company. The entire process was stress free, everything went smoothly, they built the house for exactly what we agreed and in the time we agreed. We did have some small delays due to weather but nothing that could be helped. I would highly recommend them. They are the best contractor I have ever used. I love the work and recommend them. Everything was done right the first time like it should be, they never had to come back and fix anything later. Quality was top notch. I’ll use them again. Last year I hired Gambrick Construction to put an addition on my house. They were very helpful from the very beginning and did a wonderful job. Since then I have recommended Gambrick Construction to 2 of my friends who needed renovations to their homes. Overall, we were all very happy with the work they did. Thank you, Gambrick!! Thank You Gambrick! I hired Gambrick to remodel my home, build me a patio in the backyard and redo my dock which was falling apart. Everything came great, better than I could have asked for. I can’t thank them enough and recommend them. I’m using them again soon to finish my basement. My wife and I own an older home and were looking to have our kitchen remodeled. 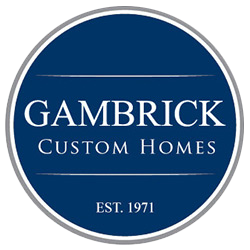 After consulting with several contractors, we decided to go with Gambrick Construction. They worked within our budget and we now have our dream kitchen. We are very satisfied with the work they did and would definitely use them again.